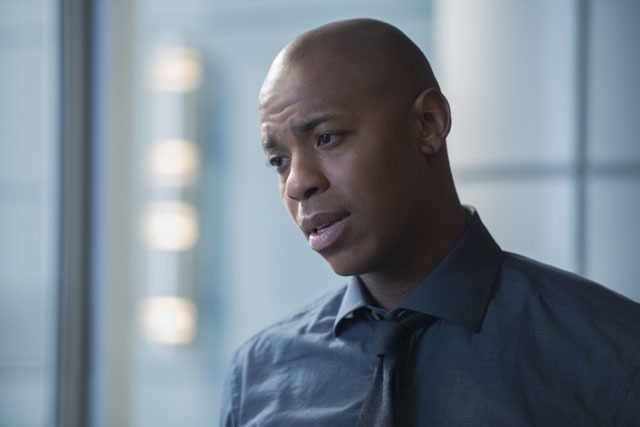 One of Coville’s (Chad Lowe) followers Tanya (Nesta Cooper) brought his journals to James (Mehcad Brooks) on the latest episode of Supergirl. 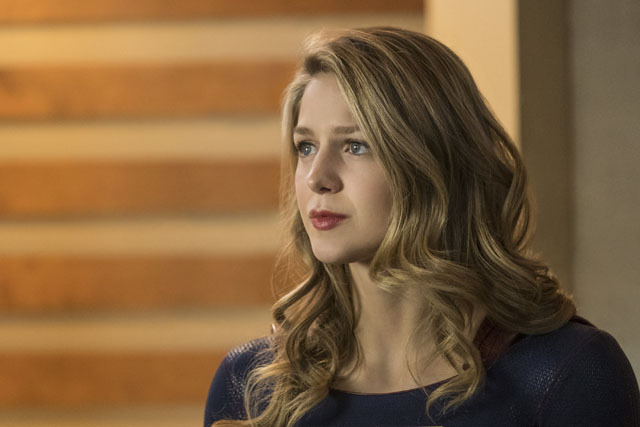 Trying to get them to Supergirl (Melissa Benoist), Tanya was followed by members of the cult who kidnapped her from CatCo. 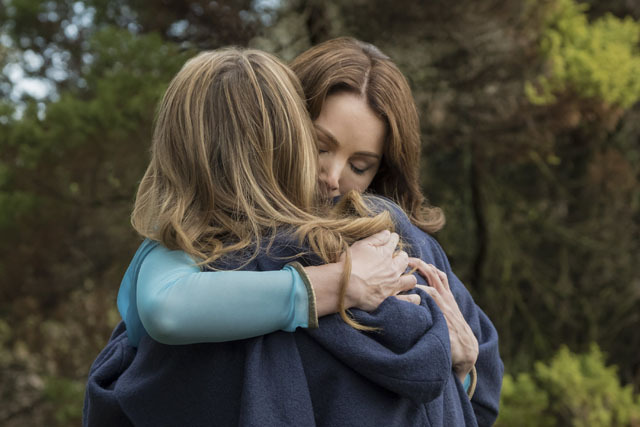 James slipped into his Guardian gear and followed them, getting Tanya back but exposing his identity when his helmet was blown off. 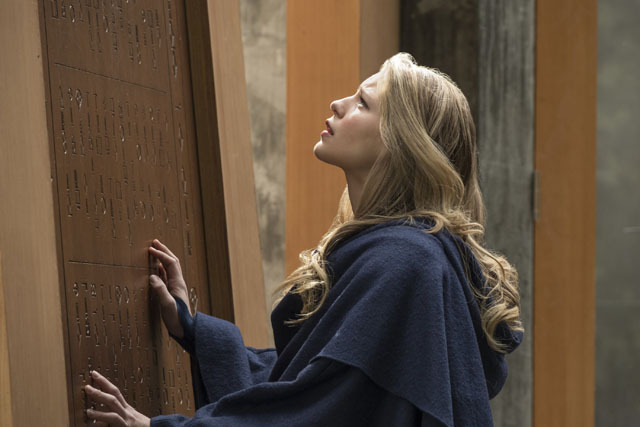 The cult’s new leader Olivia (Sofia Vassilieva) threatened to reveal James as Guardian if he didn’t give Tanya and the journal back. 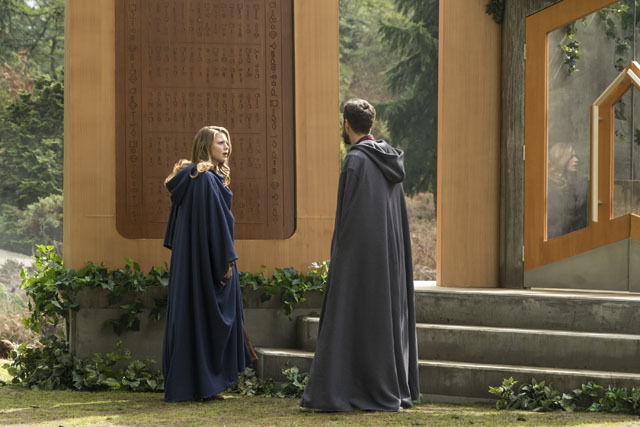 As James prepared to go public before the cult unmasked him, Kara realised the cult were trying to make a new Worldkiller. 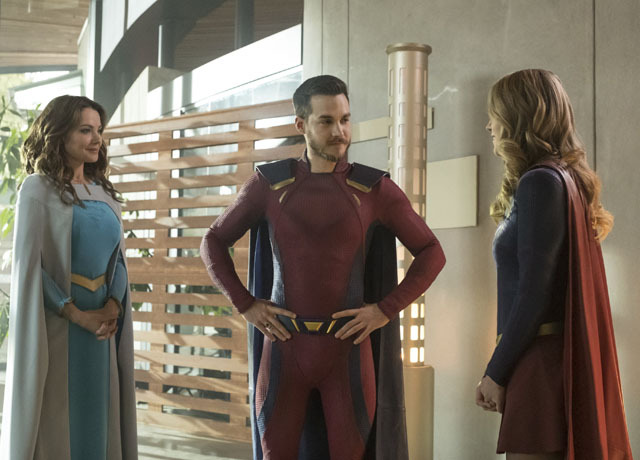 Mon-El (Chris Wood) purposely got himself kidnapped to keep an eye on Tanya and he led Supergirl to Olivia and the cult. 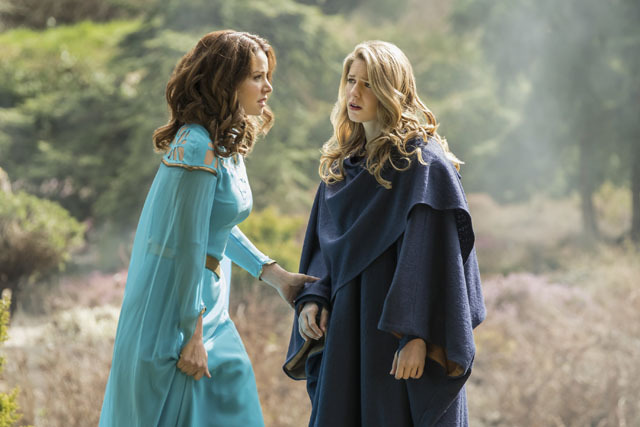 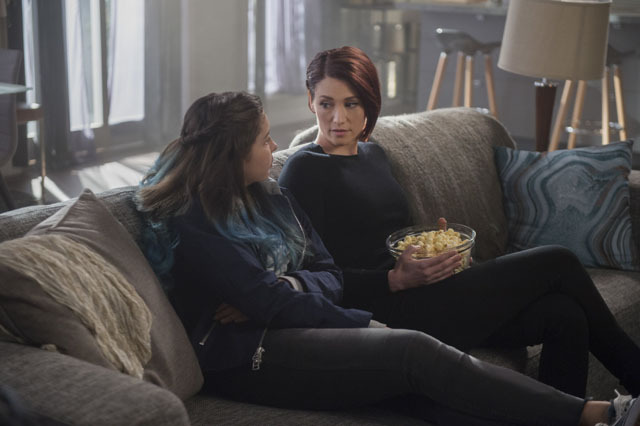 Olivia started the ritual to transform herself into a Worldkiller using a Kryptonian rock but Supergirl stopped her and convinced her to stay who she was. 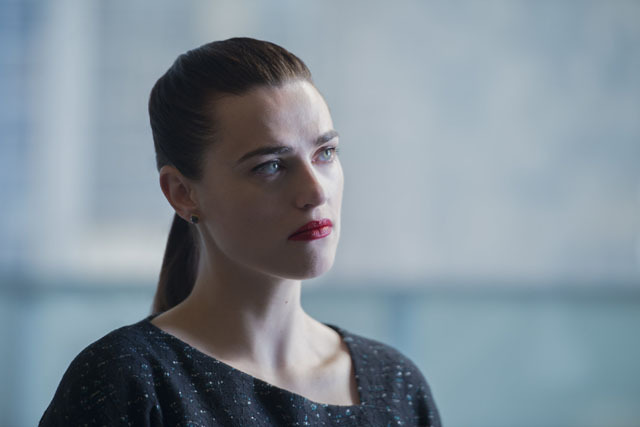 Meanwhile Winn (Jeremy Jordan) and Lena (Katie McGrath) realised the rock used by the cult could help Sam (Odette Annable) if they could find more of it so Mon-El and Kara set off into space to get some. 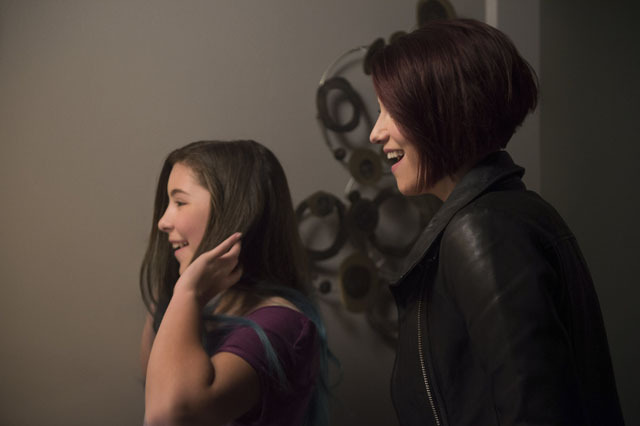 Elsewhere Alex (Chyler Leigh) tried to cheer Ruby (Emma Tremblay) up by treating her to a day out.